The new Occasions Mini is now live. The mini catalogs are used as a way to offer seasonal merchandise as well as to introduce new product and this mini catalog has some great stuff. Nestables are here! Stampin'UP! 's new nestable dies, the Sizzix Framelits. 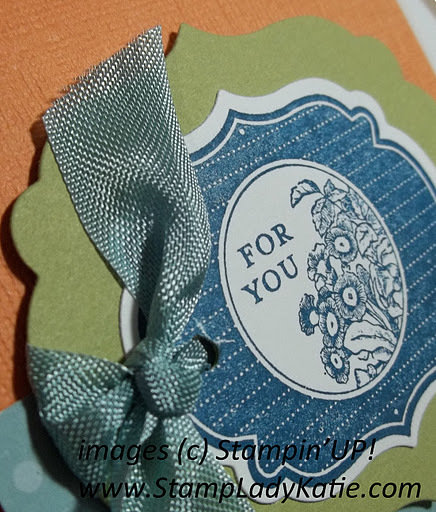 And true to tradition, Stampin'UP! is supporting this new tool with matching stamp sets. 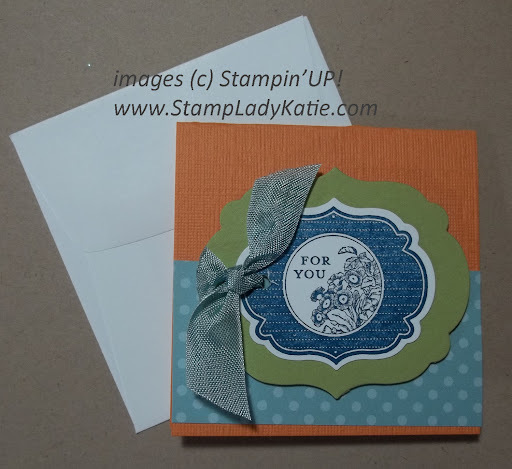 This card is made with the Labels Framelits and the matching stamp set called Apothecary Art. I am really loving these framelits. The Framelits are just that - frames. You can stamp your image and lay the frame over it. Because its just a frame you can see through the middle to get your stamped image lined up perfectly. Did you get your new mini? Let me know if you need a copy. Did you know you can view the Catalogs On-Line too! See the Occasions Mini flash version -or- pdf file. See the Main Catalog : flash version -or- pdf file. Sale-a-bration starts January 24th. Contact me today to schedule your event. Thanks for visiting my blog! Beautiful Stamp-in Up cards!